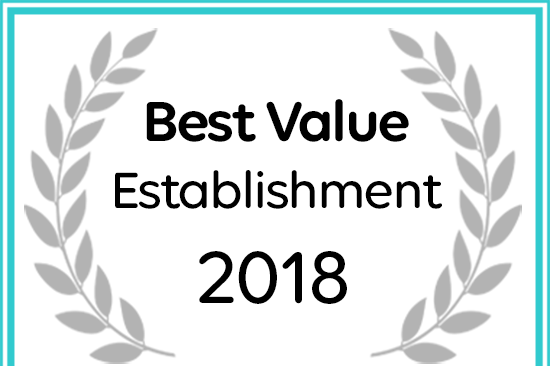 Sylvan Grove Guest House has received a 2018 award for Best Value Durban Accommodation. We welcome you to the peaceful Sylvan Grove Guest House which has been running successfully for over 16 years in Umhlanga Rocks - one of the finest holiday resort towns in South Africa. With extensive knowledge and experience in Umhlanga Rocks and Kwa-Zulu Natal, we will prove to be a wonderful choice on your journey in the textural East Coast of South Africa. Sylvan Grove Guest House is set in a tranquil, tropical garden with prolific bird life and overlooks the Indian Ocean. We offer affordable accommodation for the discerning business and holiday traveler. Although just 15 minutes drive North of the Durban CBD and the International Convention Centre, the Guesthouse is set away from the hustle and bustle of the busy beachfront and is the perfect retreat in which to relax. For enquiries about Sylvan Grove Guest House simply email or contact us at our contact details. See our mobile website here. View a 360 degree virtual tour of the Umhlanga Main Beach.